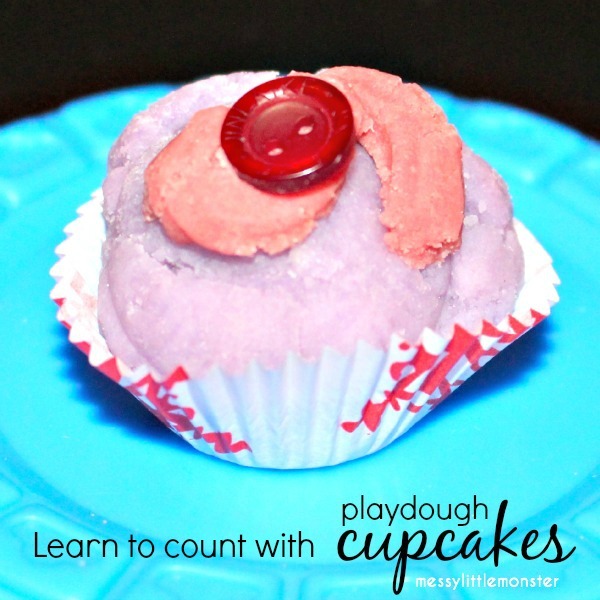 These playdough cupcakes look almost good enough to eat! We had a great time making playdough cakes, adding candles, playing cafes and singing happy birthday, as well as learning to count. 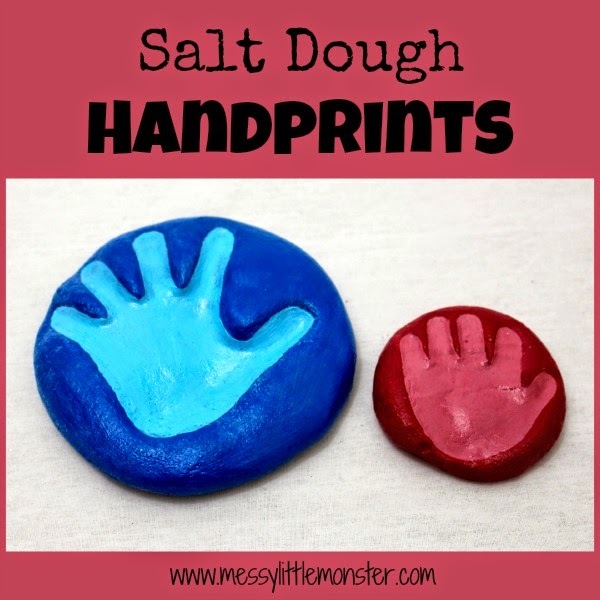 You might want to check out our other playdough activities by clicking here. 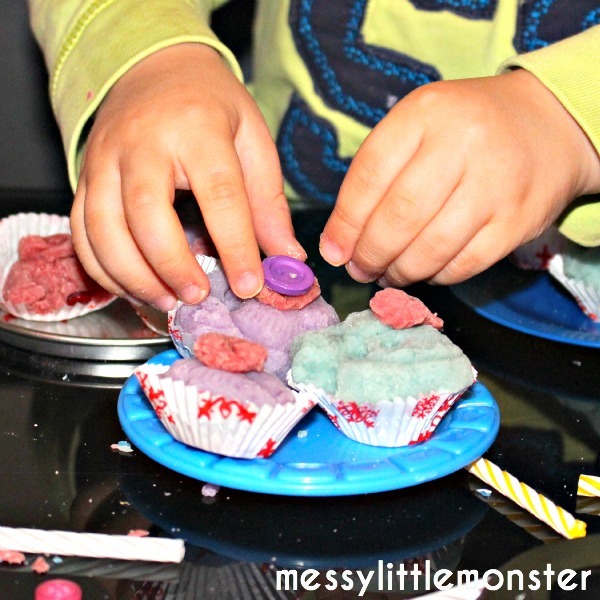 I gave Harry his playdough cake maker along with 3 colours of playdough (click here for the recipe), mini plates, cupcake liners, buttons and a muffin tray. He got busy straight away baking us some delicious looking cakes. 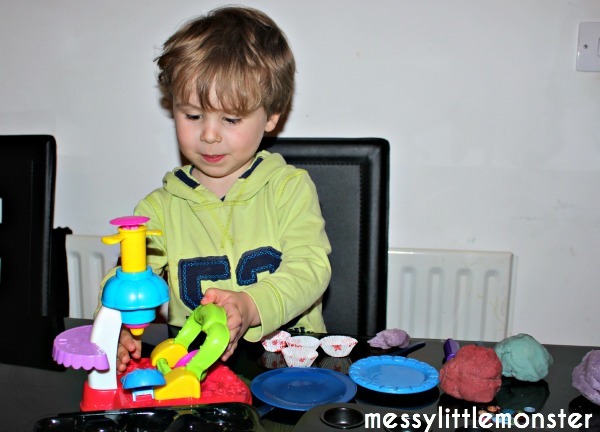 Harry loves this activity and often asks for me to get his playdough maker out. 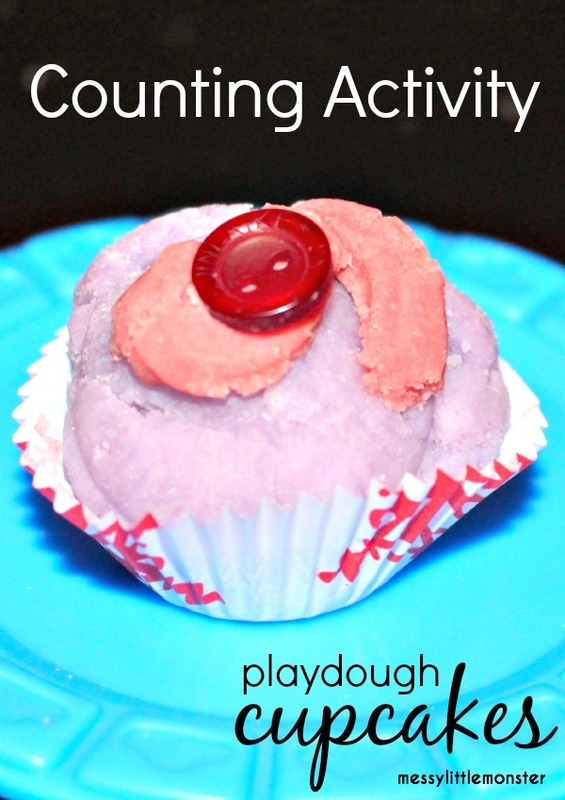 Today we used our playdough cakes to learn to count. 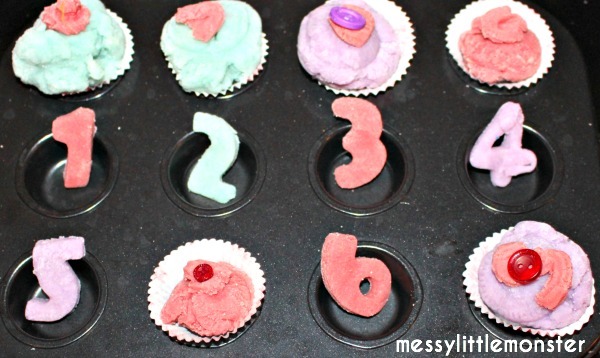 We got our number cutters out and made some numbers out of playdough. Harry is really interested in numbers at the moment so he loved this. 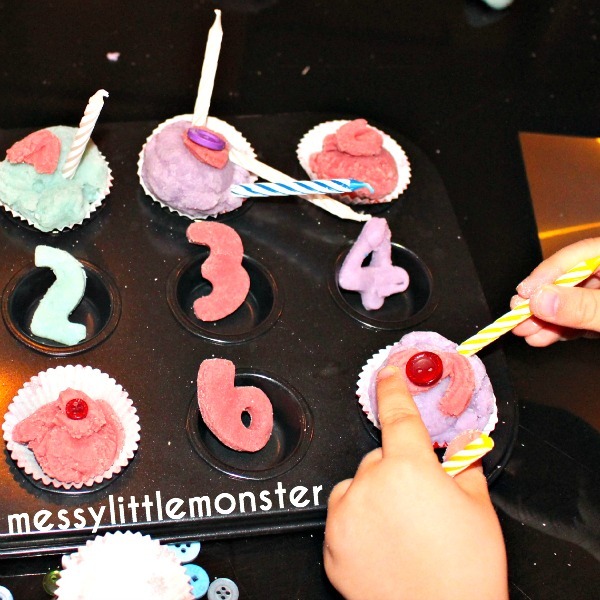 We put the numbers into the muffin tray and put a cake next to each number. I gave Harry some candles. He looked at the number next to each cake and counted the correct number of candles onto the cakes. 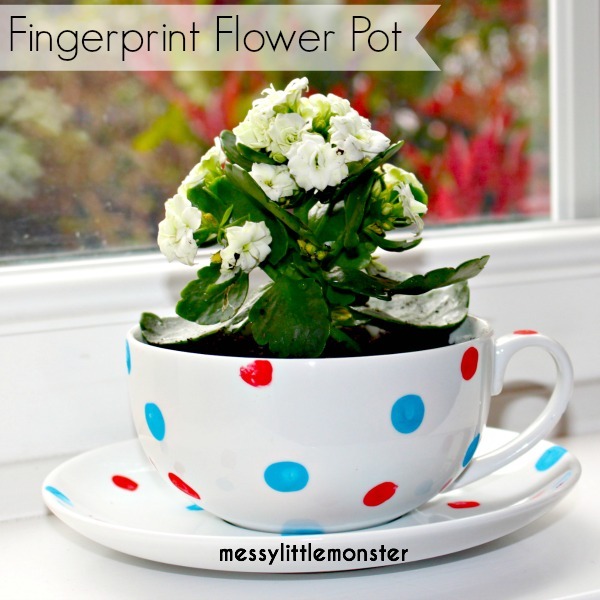 This was great for practicing his counting and number recognition skills. 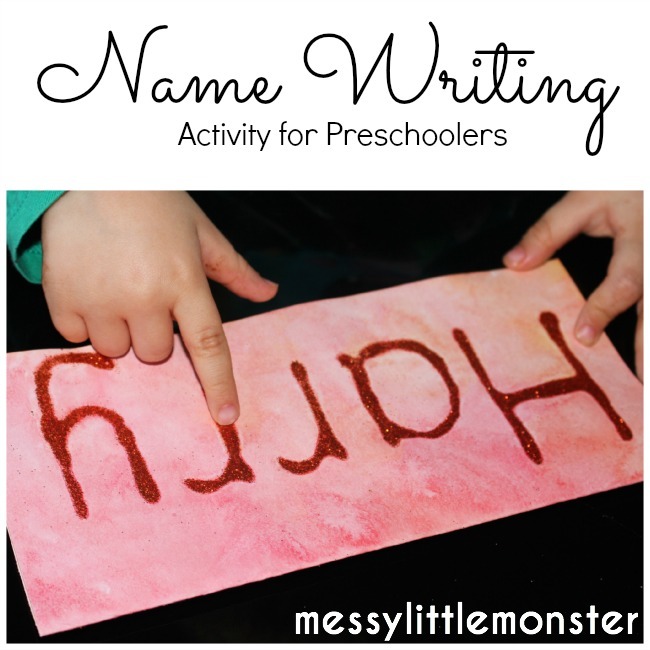 Harry loves to play cafes. He role plays making, selling and eating the cakes he has made. Today all the cakes became one huge birthday cake and we had to sing 'Happy Birthday' to Daddy. 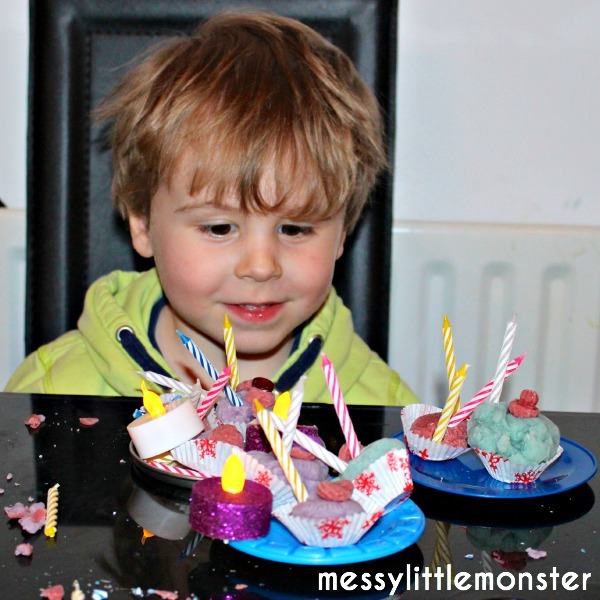 I love the addition of battery operated tea lights on his cakes (which he went off to collect himself)! 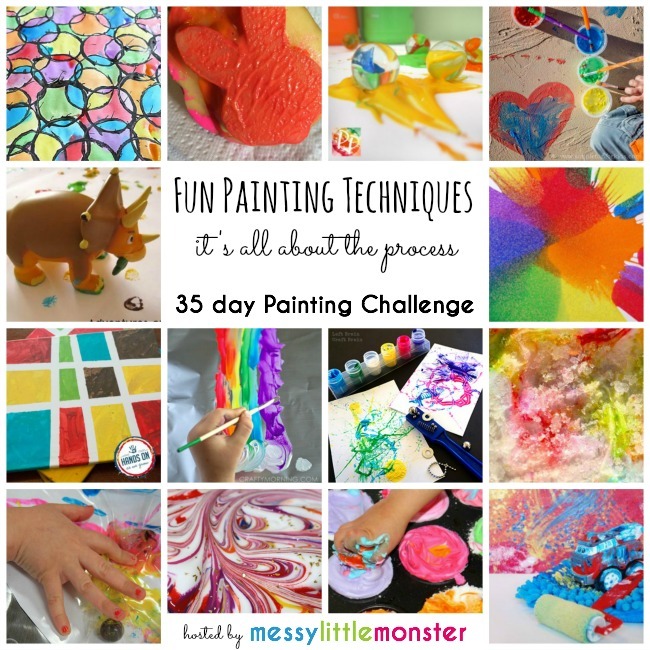 This counting activity using cupcake liners is part of a series called 'Learn with your Craft Stash,' hosted by 'Life Over C's'. 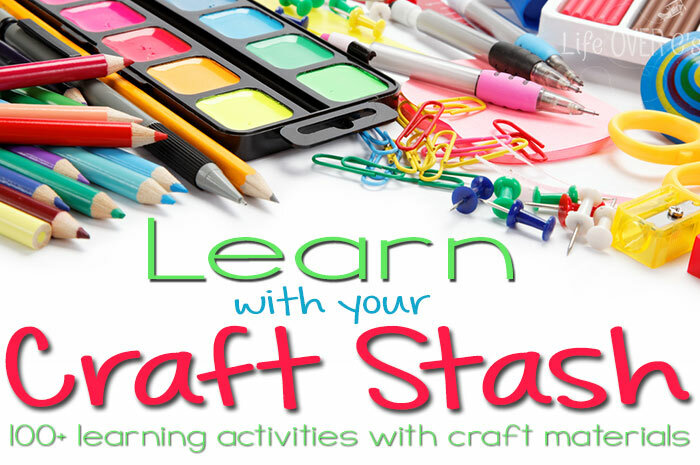 To find other learning activities using cupcake liners (and a whole load of other things you might have in your craft stash) click on the image below.